Salerm Keratin Shot 2 Straightening Cream 17.3oz/500ml Big sale!! Salerm Keratin Shot Straightening Cream Step 2 Keratin Shot Straightening Cream is a revolutionary treatment to aid the straightening process. It works by adding keratin and modifying the shape of the hair. This system has several benefits including the amazing recovery of natural moisture shine and silkiness extra volume control and longer lasting straight hair. 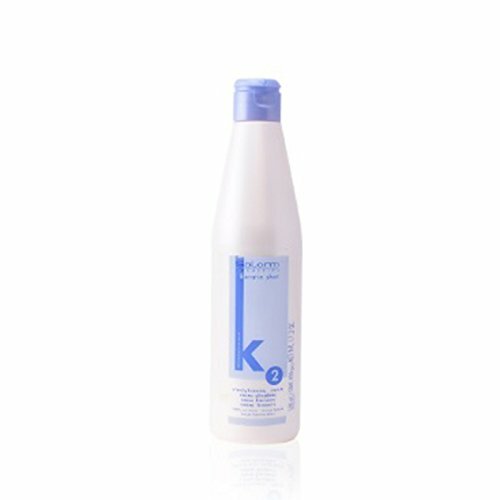 Wash hair twice with Keratin Shot Maintenance Shampoo. Towel dry and leave the hair slightly damp. Separate the hair into four sections and apply Keratin Shot Straightening Cream to each section using a spray. Leave to work for 10-15 minutes with applied heat. Use a hairdryer to straighten the hair thoroughly until totally dry. Divide once again into four sections and go over using a ceramic or porcelain (never aluminum) iron until the hair is perfectly straight and all remains of the cream have vanished. To finish apply a small amount of Keratin Shot Serum. After treatment do not wash hair for 72 hours. Heat helps to get off the surplus of product. You ll notice some smoke not dangerous. Apply the treatment in a ventilated room. 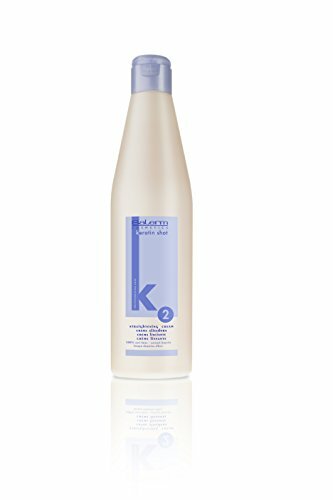 Salerm Keratin Shot Straightening Cream 17.3oz/500nl K2 Long lasting straightener, hydrates and recovers natural Shine.